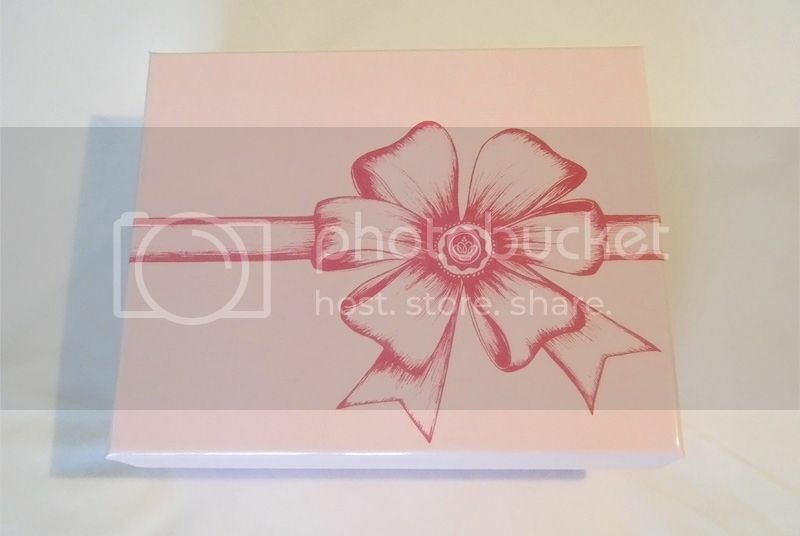 · Stick Anticelulitico Thiomucase (25€): Sólo por este producto merece pagar la caja este mes. Un anticelulitico de venta en farmacias. Al ser en stick no mancha y es muy fácil de aplicar. · Jelly Pong Pong Eyeshadow Base (24.49€): Otro producto full size. Es una pre base para sombras de ojos y correctores, al estilo de Stay Don't Stray de Benefit. El tono no me va demasiado bien pero como pre base funciona bien. · Moroccan Oil: Esta muestra del famoso aceite para el cabello ya me vino en otra caja anterior, de hecho esta es la tercera muestra que tengo. Muy util para llevar de viaje. · Dr Brandt Glow (65-85€/50gr): Una crema de día y un serum que contienen retinol y cristales de ruby. Por el precio que tienen en tamaño de venta deben ser milagrosos. Cuando termine de utilizarlos haré una review sobre ellos. 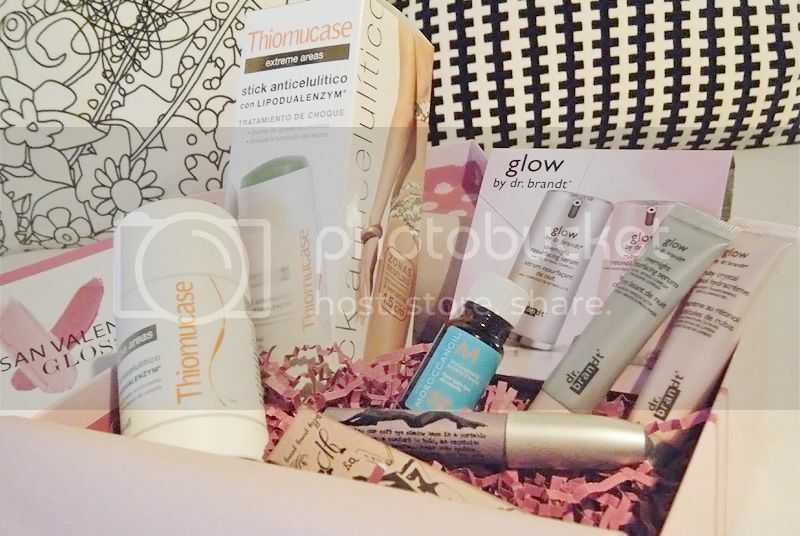 · Thiomucase Anticellulite Stick (25€): Just this product is worth the money payed for the whole Glossybox. An anticellulite sold in pharmacies. It comes as a stick so it does not stain and it's very hassle free to apply. · Jelly Pong Pong Eyeshadow Base (€ 24.49): Another full size product. It is an eyeshadows and concealer base, in the style of Stay Don't Stray by Benefit. The shade doesn't really match my skin but it works well as an eyeshadow base. · Moroccan Oil: A sample of the world famous oil, this one came in another box a few months ago, in fact this is the third little bottle that I have. Very useful for traveling. · Dr Brandt Glow (65-85€/50g): A day cream and a serum containing retinol and ruby crystals. For their full size price they must be miraculous. When I finish using them I will do a review on them.